Don’t Get Lost in the Dungeons! 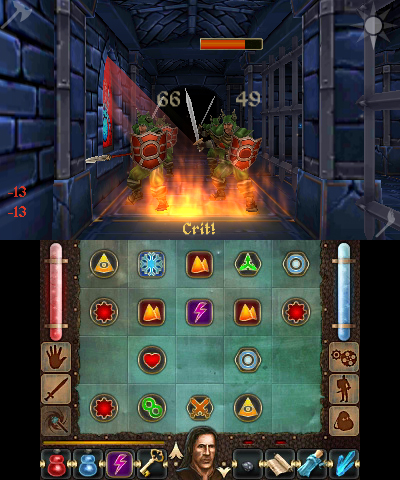 Dungeon RPG games have always captivated players. The allure of exploration, the intellectual challenge of solving problems, and the anticipation of monsters jumping out, all combined into a great gaming experience. Now, what would happen if we add real-time combat to the mix? The Keep is the well-crafted creation of all these components. Cinemax, an independent developer located in Prague, has over 40 gaming titles under its belt. Games like 247 Missiles and Inquisitor are some of their games which are seen on various platforms like Steam, iOS, and Nintendo eShop. The Keep begins by announcing that a wizard recently came to power in Tallia (the kingdom) and the High Council (the courts) did not do anything to stop this. During this time, soldiers ventured to the kingdom to attempt to defeat him, but none were successful. An “Age of Fear” began throughout the world. Your character, the new hopeful hero, has travelled to Tallia to bring justice to the kingdom. This type of storyline is pretty generic, but luckily it is elaborated with the wizard, creatures in the kingdom, and past events in Tallia. 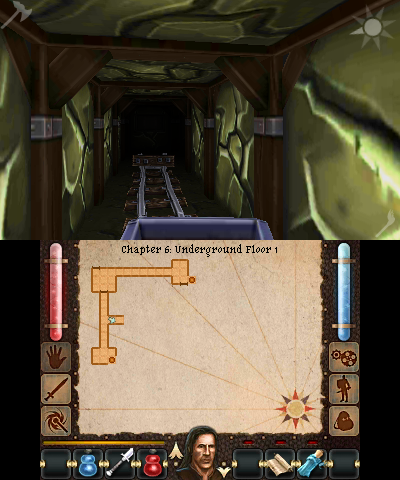 The storyline is broken into chapters, which can allow players to pace the game like reading a book. The pace in the storyline goes pretty slow, but if you’re inclined enough to follow it, then it’s not too bad. 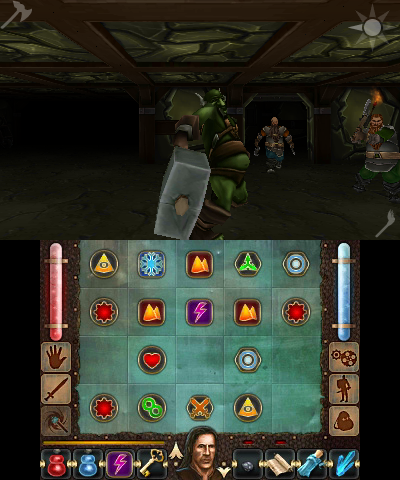 Before the gameplay even starts, players are given the option of three levels of difficulty:easy, normal, and difficult. This is great because right off the bat, the game allows players to customize the experience. If you just want to have a light experience focused on the story, then you go for easy/normal which hedges the fear of dying. If you want to bang your head speculating how you defeat that monster, then you go for the difficult setting. Regardless of how you want to play, you get to play how YOU want. In terms of presentation, The Keep has a lot of nice points. Graphics-wise, the characters are very polished, but the items look like an after thought. For example, enemies have very nice graphics. The garments, weapons, and attacks are crafted well with details clearly apparent. However, a potion looks like it was literally ported from the original Diablo. I’m not sure if it was intentional or not, but it was just something that irked me. The environment is also done very well. Whether it’s a spiked pit or cement walls, each look like specific detail was paid to them. Following along with this, the motions of the characters, flames, and anything else that moved in-game flowed very well. There were no choppy motions nor strange glitches (that I saw), both of which could have deterred from the gaming experience. One surprise about The Keep was its stress on voice acting. Numerous characters, ranging from majors to the peasant that you save, all had individualized voices that carry the storyline along in a meaningful way. This type of voice acting is especially not the norm for handheld games. What’s interesting is that normally in RPGs, the main player that you control is often mute. Instead, The Keep has your character as a voiced character, going along with the storyline and offering his thoughts along the way. I think the developers did this well so that you wouldn’t respond to comments in terms of “yes” or “no”, but rather have your character respond with thoughtful and articulate ways. It’s important to know that there aren’t any choices in the game. The storyline is set, so it’s up to you to venture through it. What impressed me the most was the innovative gameplay of The Keep. Like any RPG, there are scores of layers to go through. I will do my best to touch on many points, but what’s the fun if I show you each and every nook? First, there is a lot of storage space for the numerous items you accumulate in the game. 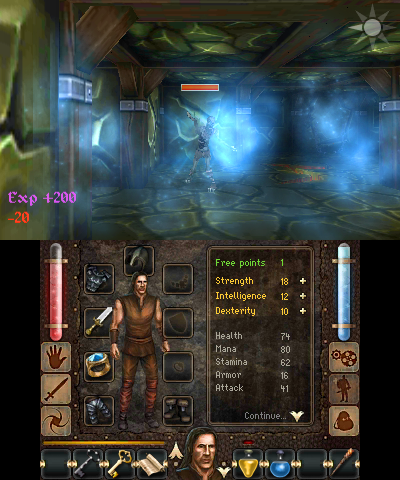 Items like small rocks, torches, scrolls, and more can be obtained, used, and combined throughout the game. Having a plethora of storage space is great for those hoarders who refuse to discard something “just in case”. 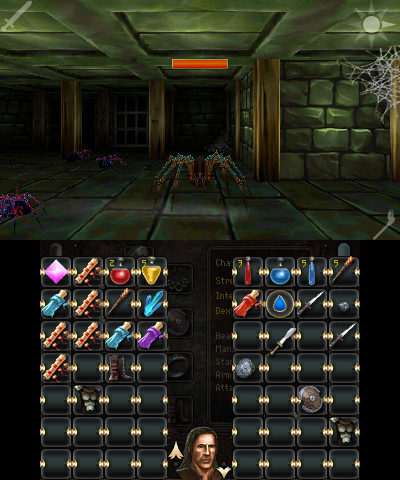 Though this might be a typical scenario in many RPGs, I think the combination of the storage space, combined with the touchscreen makes it a bit on the exciting side. In addition to carrying a large amount of items, you are also able to carry and execute several spells. The magic system in this game is used with mana and downtime. This way, you can’t blast fireballs indefinitley, but rather you need to intelligently use the spells in tandem with other attack strategies. With this, more powerful spells can be unlocked with scrolls. These scrolls show which magical tokens must be used (and in which order). You then place those tokens in certain orders and can quickly use them. 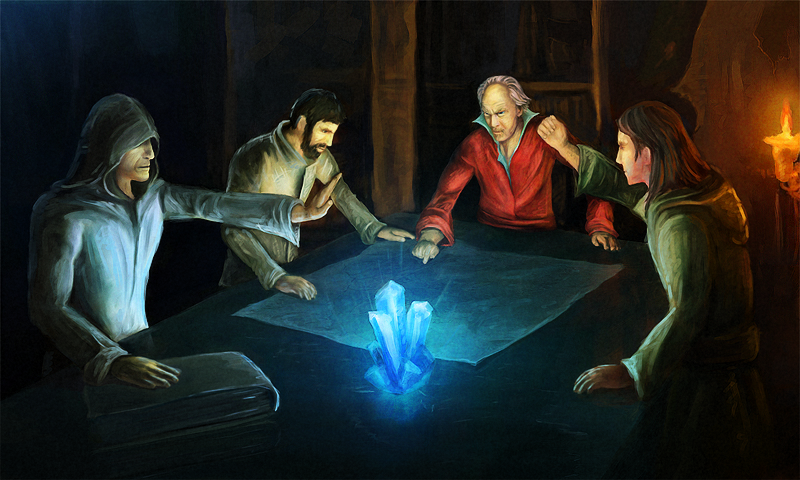 If you position the tokens in a creative strategy, you can easily use a variety of spells without breaking a sweat. With this, there are also scores of items that can be attached to your character, ranging from armor, to headgear, and even a torch used as a weapon. The possibilities to customize your character continue with this, in addition to the magic system, and is further compounded by allowing you to increase the stats at your leisure. And like any dungeon, there are secrets to them. Each level has several secret passageways that can give you bonus items, more stat boosts, and more that will reward you for finding those secrets. At the end of each level it will tell you how many secrets you found, and how many are left in the level – a nice way to encourage you to replay a level. All of these features are used with the bottom touch screen of the Nintendo 3DS. At first I was a bit cautious with how the interface and gameplay would mesh. Surprisingly, it works very well and allows players to quickly attack how they want without getting bogged down by trying to remember what to do while an enemy is attacking you. My favorite part, by far, was the magic system. You literally have eminent domain on how you want to arrange your tokens, which tokens you use, and how to best use them. I might be a bit biased because I’m often the “magic guy” in RPGs, but regardless, it’s a nice spin to the magic skills system found in other RPGs. Though the storyline has a very slow start, it does pick up in some meaningful ways. This, coupled with the numerous customizations can allow players to become immersed in the game and call the experience their own. For $12.99, you can download this game from the eShop, where, if you like RPGs, is certainly an indie game to pick up. Below are some additional shots of The Keep. Enjoy! light within the night time. wires and also how to own the wires that will connect towards the DVR. 1,806 identification cards lost or stolen. Hi, this is done through wordpress.com. Check it out and see what you can do with it.